BlackBerry Curve 9360 is a newest smartphone from the house of RIM. It is running on the latest BlackBerry 7 OS and good thing is that MTS Mobility of Canada has added this device into their smartphone’s offerings. 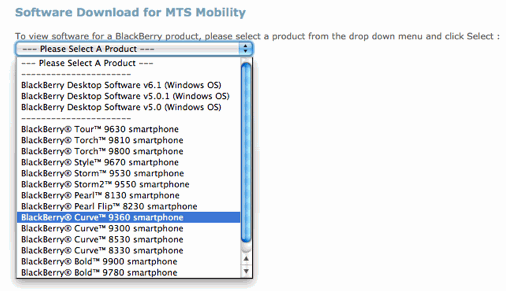 Actually, this smartphone was spotted on the BlackBerry software download section for MTS Mobility carrier and the good thing is that carrier has confirmed that very soon device will be available for purchase. Exact release date and price of BlackBerry Curve 9360 are not provided at the moment but we have information regarding specs of it. 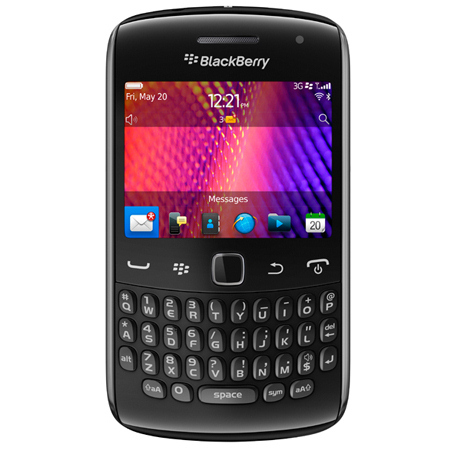 BlackBerry Curve 9360 is running on the latest and fastest BlackBerry version 7 operating system. It is designed with the same portrait QWERTY keyboard which you find in other RIM smartphones. There is a touch-sensitive optical trackpad which allows you to navigate on the web pages easily. On board, you will get a standard 2.44-inch touchscreen with 480 x 360 pixels resolution. It comes with 512 MB of internal memory which can be increased up to 32GB via a microSD card slot. You are able to enjoy good performance with the mean of a single core processor which is complemented with a 512 MB RAM. MTS Mobility also mentioned that they will start offering BlackBerry Bold 9900 by the end of this month while BlackBerry Torch 9810 is already on sale with the price tag of as $149.99 (108 EUR) with a new three-year agreement and a minimum $44.99 (32 EUR) voice and data plan. You can also get an extra affordable BlackBerry Curve 9300 for only $29.99 (22 EUR) with a three-year agreement and a minimum $44.99 (32 EUR) voice and data plan. The carrier has a plan to sell the BlackBerry Smartphone at an affordable price to those who are unable to pay large sum of money but they still want to use high-end smartphone. Although price of BalckBerry Curve 9360 hasn’t revealed as yet but on the basis of above-mentioned pricing plan we can predict that Curve 9360 cost will be around $100 (72 EUR) with a new three-year agreement.